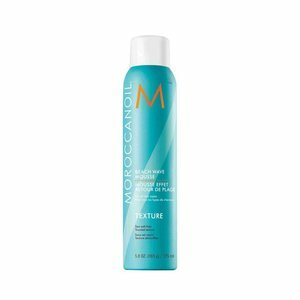 The Moroccanoil Beach Wave Mousse is a grippy, textured structure, activates waves and provides an effortlessly ruffled look with flexible long-lasting hold - without drying the hair - as well as protecting the hair from sun damage. 3. Air dry or dry with a diffuser. Tip: For best results, use the Moroccanoil Treatment Light before treatment.